Friends, I am excited to host this wonderful lifesaving event! Please share even if you are unable to donate! All donations are used LOCALLY. That means you could be saving the life of a friend, neighbor, family. 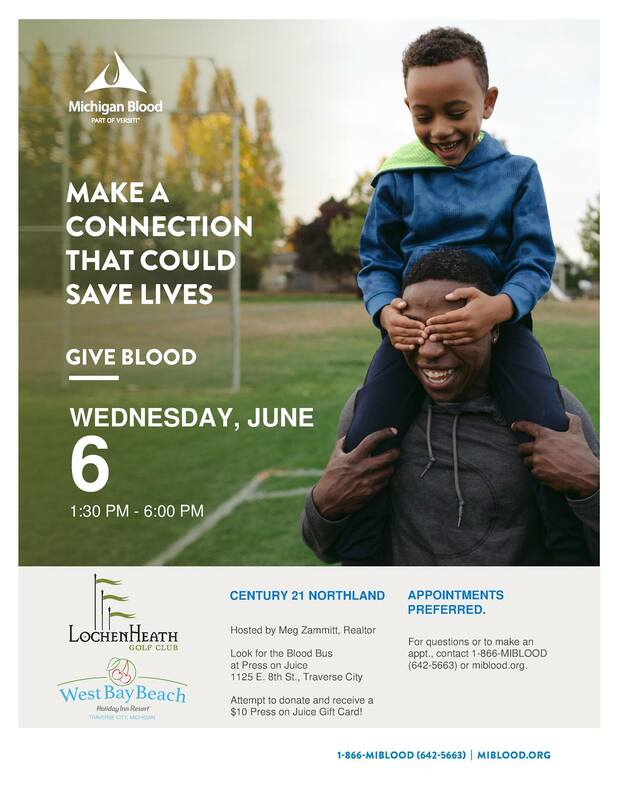 Please join me at Press On Juice on June 6 from 1:30 to 6pm to donate blood. All donations used in our local Northern Michigan community. All donors receive a $10 gift card to Press On Juice.